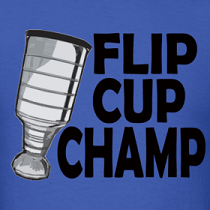 Dirty Dangle Hockey: Could The Penguins And Capitals Both Miss The Playoffs? 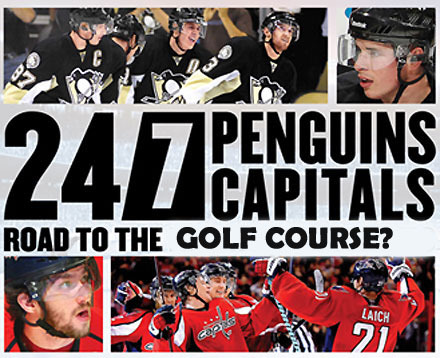 Could The Penguins And Capitals Both Miss The Playoffs? Tonight should have been a great game between the Pittsburgh Penguins and Washington Capitals with some of the NHL's top stars facing off against each other in a must-watch game for the Eastern Conference lead. But the NHL just isn't the same these days, instead it will be a depleted Pens team facing a struggling Caps team for 8th place in the Eastern Conference playoff picture. Sure it will still be a good game and it's hockey so I'll watch, but this rivalry is not as intriguing when you're not getting the best out of it. I used to get so pumped up when any Pens or Caps game was on TV, or better yet, when they were playing each other. I would watch every shift to see Sidney Crosby make a play that nobody else in the league could make. I would watch Alexander Ovechkin throw his body around and light up goalies with his cannon of a shot. I would watch some of the most skilled powerplays go to work and their goalies stand on their heads. But not anymore. These days Crosby is still concussed and watching from the pressbox and Ovie is struggling to fill the net like he did when he entered the league. While Ovechkin has picked up his play of late, he's still not playing the way we have seen in the past - 17 goals and 33 points in 40 games must be driving fantasy owners and Caps fans crazy. With both superstars not having the same impact on their teams, there is a good chance we could see both Washington and Pittsburgh on the outside of the playoff picture this spring. Pittsburgh is sitting in the 8th spot with 46 points in 41 games so far and currently on a 5 game losing skid. With weekend injuries to both Jordan Staal and James Neal who will be out of action for at least a month, you have to think the team will have trouble scoring. To make this problem worse, they've been without stud d-man Kris Letang for over a month now as well. This team is getting very thin upfront and there is no way Evgeni Malkin will be able to do it all every night. With 3 of their top 5 players healing in the pressbox, the injury bug has bit the Pens hard and their record shows it. A different kind of bug has bit the Caps. While Washington is 5-4-1 in their last 10, they still sit on the outside of the Eastern Conference playoff picture in 10th with a 21-17-2 record for 44 points in 40 games. With Mike Green day-to-day for the last 2 months, the Capitals have really missed him back on the point to create offence, and it's never a good sign when Jason Chimera is your leading goal scorer for the first two months of the season. But what has really let them down this year is their goaltending. Ranked 22nd with 2.95 goals scored against per game, the Capitals were hoping for a lot more out of Tomas Voukon and Michal Neuvirth. With teams like Ottawa, Florida, Toronto and Winnipeg still hanging around and playing some solid hockey, things could get very interesting come playoff hunting season. There is still over half the season left and plenty of time to see who are the contenders and who are the pretenders, but can you imagine this year's playoffs without these two great teams? If trends continue, it could be a shocking reality. 1-0 game tonight and it was so boring for a Caps VS Pens game. Ovechkin was flying out there last night. But still not putting up points. Don't know what is wrong with him these days.